Ever want to close all the open documents in Madcap Flare except the one you’re working on? In Flare, click the Window tab. 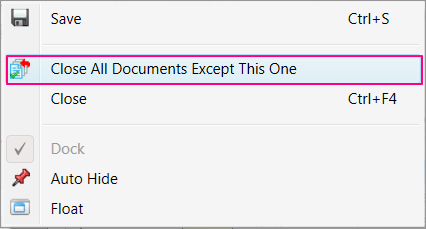 In the Open Windows section (far left), click the Close All Documents button. This opens a drop-down list. Click Close All Documents Except This One. Now, you can get your workspace in order again and decide which files you want open.